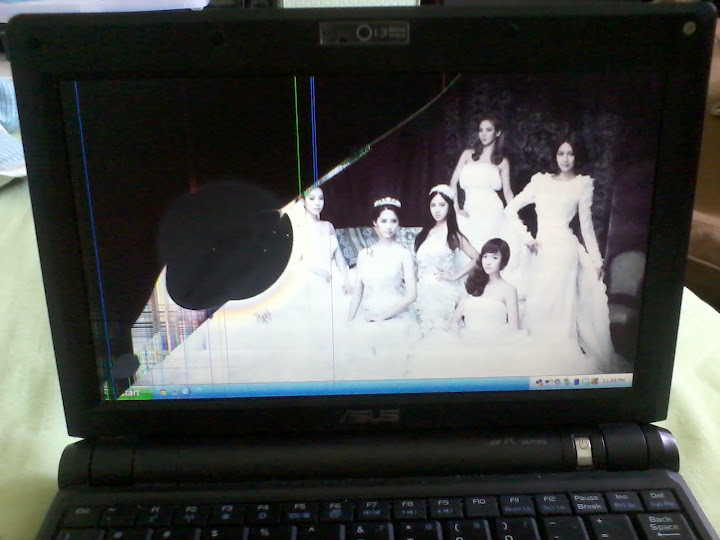 T^T last night i was watching this show on my netbook when i ACCIDENTALLY fell asleep. its happened a lot of times before, but this time, when i woke up...HORROR. "i should! so that it should be repaired!" i was having a breakdown, i swear @. @ eventually i told my mom and she said that the LCD was gonna be expensive so she wasn't gonna send it for repair T^T I HAVE NOT SHOWN MY DAD. im now using my house desktop computer. I AM GOING TO DIE. ps i have 13GB of songs, videos, photos and stuff to save /,\ i have to save them! !